How cute is this? 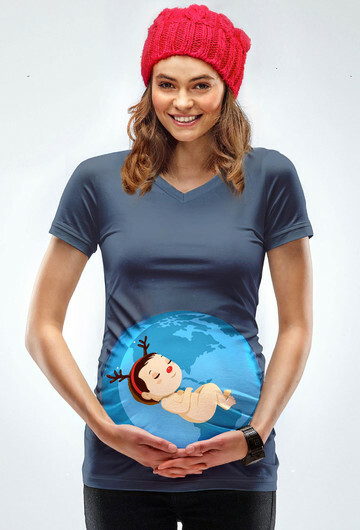 Say hello to our super coolest limited edition maternity Christmas t-shirt for the snow season! 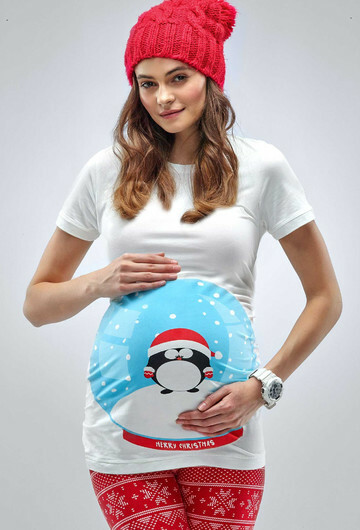 The perfect maternity shape will ensure a lovely camouflage of your baby bump into a magical Christmas bauble, with you being the star of the day! 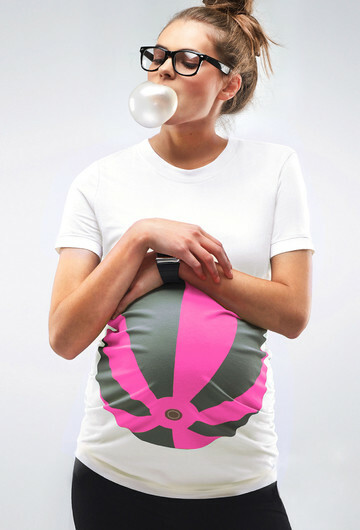 Every super mum-to-be carries a super baby bump, so come on, get this stylish t-shirt and enjoy the festivities in style! Gentle cycle with like colours. 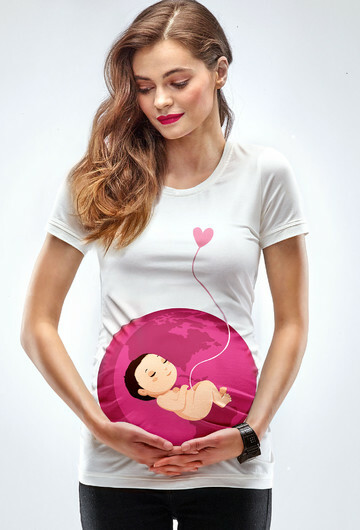 Mamagama maternity clothes have a maternity cut with ruching along the sides for more belly room and they are longer in front to cover the belly.